Sturdy and reliable Breakers designed for working together with Altrad Belle Hydraulic Power Packs. The handheld Breakers are available in many different sizes with varying impact energies and commonly used tool sizes. 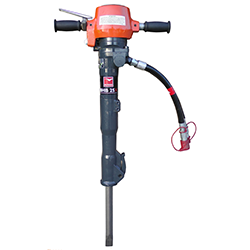 BHB12 Hydraulic Breaker / Demolition Pick - Small and lightweight with vibration dampened D handle, Designed for horizontal operation. BHB19 Hydraulic Breaker- All purpose medium weight tool for a wide range of applications. Vibration dampened handles. 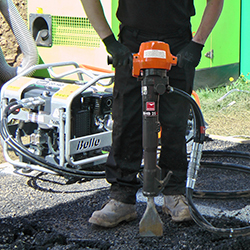 BHB23 Hydraulic Breaker- Medium/heavy weight ideal for concrete and asphalt breaking. 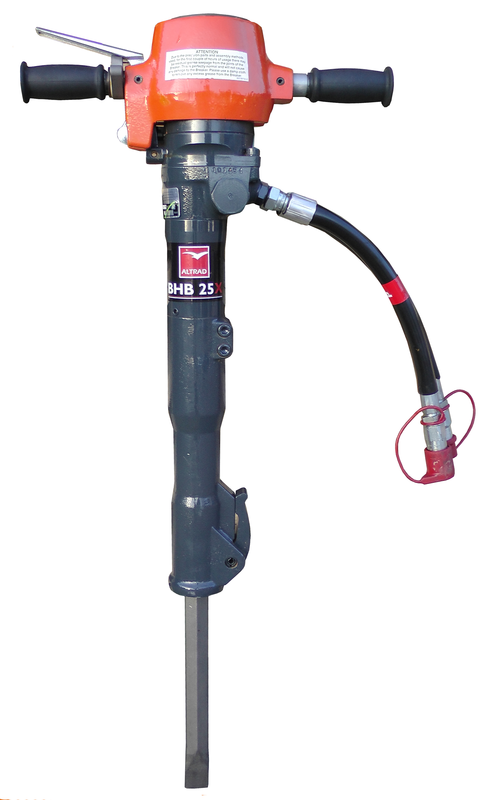 BHB25X Hydraulic Breaker- Ultra dampened handles, all purpose heavy weight breaker High performance, operator friendly breaker. BHB25 Hydraulic Breaker- Heavy weight tool for the most demanding applications Vibration dampened handles without reduction of blow energy. BHB27 Hydraulic Breaker- Heavy weight tool for the most demanding applications Vibration dampened handles without reduction of blow energy. Can be used with 20L or 30L powerpack by changing restrictor which is supplied.